Advanced, all-in-one formula!Enjoy stimulant-free, natural, lasting energy with the newly improved Fatigued to Fantastic! 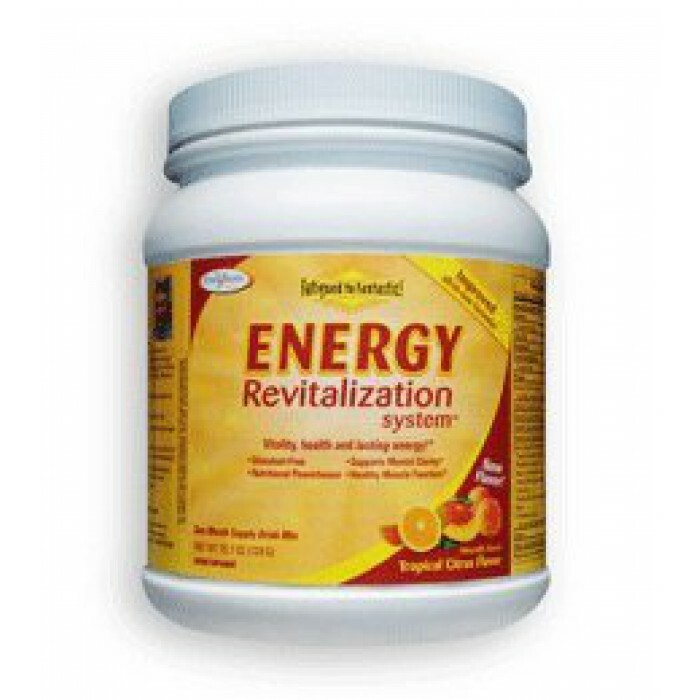 Energy Revitalization System. In collaboration with Dr. Teitelbaum, formula enhancements, have been made based on the latest scientific research. This daily nutritional powerhouse also adds convenience as a delicious, all-in-one drink mix with B vitamins built right in--plus essential vitamins, minerals, protective antioxidants, and amino acids to replace over 30 tablets and capsules each day. Feeling your best just got a whole lot easier to swallow! Reach Optimum VitalityBuild an Exceptional Nutritional Foundation: Fatigued to Fantastic! Energy Revitalization System supplementImprove Quality of Restful Sleep: Fatigued to Fantastic! Revitalizing Sleep Formula restful sleep blendManage Excess Stress: Fatigued to Fantastic! Adrenal Stress-End energizing stres formulaEnjoy Life with NEW Vitality! For optimum energy and mental clarity!Jacob Teitelbaum, M.D., best-selling author of From Fatigued to Fantastic! and the nation's leading energy expert, directed the development of Fatigued to Fantastic! to create a safe, solid foundation for vitality, health, and sustained energy. Dr. Teitelbaum's clinical reserach shows that people following his method experiened a 76% improvement in their quality of life. Feel a difference within 3 weeks!Delivers the benefits of over 50 vitamins, minerals and nutrients for sustained energyReplaces the equivalent of over 30 tablets and capsules a dayIncludes Daily Energy B Complex conveniently in the drink mix for peak energy and enduranceFeatures malic acid, which stimulates the complete burning of fuel for energy and supports healthy connective tissue and muscle functioningAlso contains key nutrients including: choline for mental alertness, amino acids essential to metabolism and immune health, and antioxidants for protection from free-radical damage.